CORE BaNC (Core Barrio and Neighborhood Coalition) hosted a public forum on the Infill Incentive District Overlay at the Ward 6 office on May 28th. Adam Smith crafted a great response to a set of questions given before hand. The IID has only had 10 projects as of May 2013. Some are enormous and a majority are more inconsequential. A resonating factor that has neighborhoods wanting to opt their boundaries out of the district focuses on perceived failures in transitioning from large projects to a sensitive neighborhood context. If there is one factor that will make or break the IID concept, it is these transitions. The largest project to use the IID is The District on 5th along the South boundary of historic West University (WUNA). The current development transition standards did not work in the eyes of neighborhoods. This required transition occurs only on the development side of a project. Moreover, the design began its transition from a zoning baseline that was approved to be 25% greater than its underlying zoning. What happened was a destabilizing impact along 5th St. to the South, threatening the emblematic and historic 4th Sreet and heart of WUNA. For this reason an additional transition-stabilization zone needs to occur outside development boundaries. This could ensure neighborhood stabilization along key edges and give options for homeowner relief. 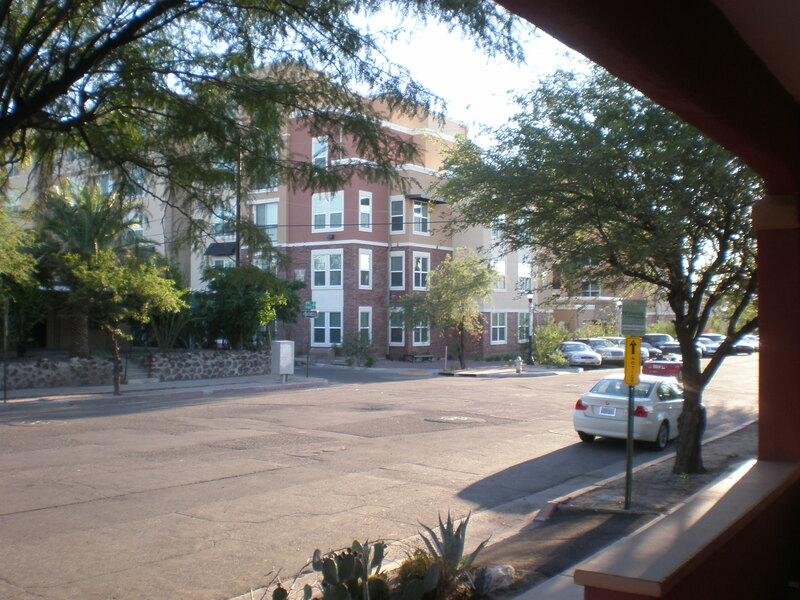 Not withstanding, the City of Tucson has recently directed the Planning Commission to make the incentive district work for neighborhoods as well as developers. An IID sub-committee will seek to determine possibilities for a more synergistic transition between developers and neighborhoods that can both attract business opportunity along streets and strengthen core neighborhood edges. Here are some ideas in Thoughts for Consideration; IID Development Transition Standards. They approved The Junction at Iron Horse student dorm in the heart of our neighborhood. They got a few concessions such as fewer parking spaces than required, which I think will lead to disaster for existing homeowners to find parking and they cot a concession to allow several small recycling bins to be pushed to the street twice a week instead of a metal dumpster, which would take up a few more parking spaces. (Where will their guests park?) They also got a 15-foot reduced setback along 9th Street. I think this will be a disaster for residents and for home values.